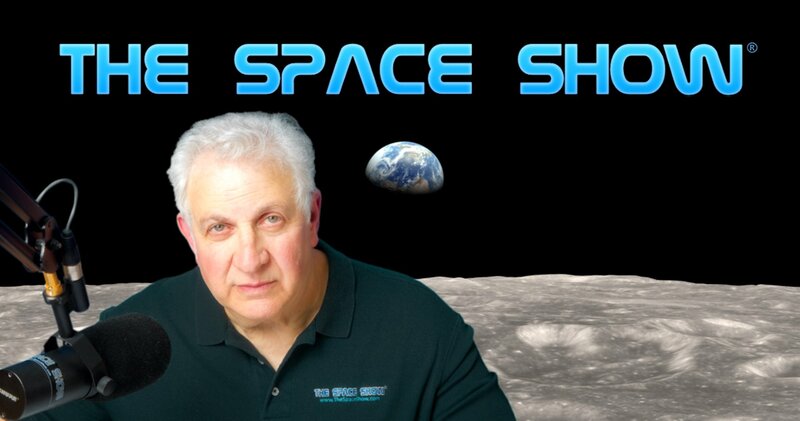 We welcomed Chris Carberry, CEO of Explore Mars, Inc., back to the show for a 65 minute one segment discussion regarding the Explore Mars 2018 workshop plus the upcoming Humans2Mars Summit scheduled for May 14-16, 2019 in Washington, DC. You can find out more about this event and register by visiting https://www.exploremars.org. We started our discussing with Chris offering a summary of the 2018 Explore Mars workshop. You can find out more about this workshop and see the report by scrolling down on the page using the above URL. Our initial workshop summary comments including topics regarding transportation to Mars, staying on the surface of Mars, landers, human health and human factors, Moon-Mars cooperation, ISRU and more. Also discussed was the humans to Mars policy with the National Space Council, congress and possible changes given the House of Representatives has changed control given the November 2018 election. Chris went over some of their lobbying efforts, results so far with members of Congress and overall congressional interest in getting humans to Mars. Chris confirmed a 2019 workshop but was unable to provide details at this early point in time. He did indicate that government seemed to be in a listening mode at this time. Another issue that came up was the quest for more international support for humans to Mars. Chris did mention several upcoming international robotic missions to mars but his focus was on the need for more international activity for humansto Mars. One listener email asked Chris if their were congressional Mars champions like there had been for Europa. Don't miss what he said in response to this question. Another listener wanted to know if he had consulted about humans to Mars with Vice-President Pence given his leadership role in space policy. Chris said no but he told a story about being at a Hilary Clinton event and even having an opportunity to talk with Mrs. Clinton about Mars. Chris went over conference logistics, said it would once again be live streamed for those unable to be there. He mentioned a change of venue for the conference and while he did say there was a conference hotel, he made a point of saying it was not that close to where the event would be held and there were probably closer hotels to the NATIONAL ACADEMY OF SCIENCES BUILDING which is were this year's Summit will be held. We then took a call from Pasadena where the caller wanted to talk about crossovers with the Moon and Mars. Don't miss this discussion. Our caller also inquired about lava tubes on Mars for settlement, the work of Dr. Pascal lee on this subject, and possibly this topic being a driver to fuel others in getting interested in humans on Mars. Chris moved forward in the discussion to describe some of the Summit events and technical discussions. He mentioned that the Musk Foundation had sponsored the Afghan Girls Robotic Team to be at the event, that Buzz would be there regarding the 50th Apollo anniversary, plus other programming news and speakers. You can see a list of many of the speakers and topics to date by visiting the even website per the above link. Kim called to ask Chris why the need to go to Mars. Don't miss what Chris said in response to this question. He did say it was a frequently asked question. Kim had specifically asked him for his "pitch" when responding to the question. Chris said there were lots of reasons but he started his reply by clearing the air on many of the misconceptions floating around about a humans to Mars mission. Do not miss all of what Chris said in response to Kim's question. As we approached the end of the program, Randy emailed us asking about networking arrangements given the full schedule on each of the days of the program. Our last caller was Marshall who wanted to know if Bigelow had ever come to the event. Chris said no. Chris concluded with comments about the international speakers at the event and to follow the website as more details for the event would continue to be posted as they develop. Please post your comments/questions on TSS blog for this page. You can reach Chris Carberry through me or the Explore Mars website per above.